Cooee Lodge Hostel hosts Zumba with All Abilities Danz! To celebrate our achievements of the fortnight, Cooee Lodge hosts happy hour every second Friday. Hang nail? Chipped polish? broken nail? Fancy a manicure? We can help you with any hand care issues when our volunteers come too Cooee for our fortnightly pamper session. 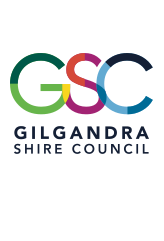 Read some of our stories, including what we do at Gilgandra Lifestyles and why we do it. Watch our aerial video of Cooee! We love our volunteers! Read about our volunteers or find out more about volunteering with us!